Blog reader Andrea wrote a post this week summarizing what she learned in a digital photography class. She kindly made her notes available right here. Anyone interested in product photography might find this DIY collapsible light box tutorial useful, compliments of Amy Kingman. I myself am not a stellar photographer, but as for my two cents, I got a new digital camera for Christmas this year. So far I love it. It's a Canon Digital Rebel XSi . 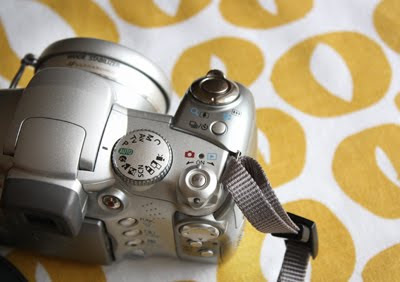 (This picture is my old camera taken with my new camera.) My single best tip for taking decent photos: study the instruction manual that came with your camera. I know you're squirming with dread at the thought, but seriously, it will help you. Update: More useful tutorials here, at I Heart Faces. You have read this article resources with the title February 2010. You can bookmark this page URL http://jenkrebs.blogspot.com/2010/02/how-to-take-better-pictures.html. Thanks! At a moving sale recently, I picked up an old curtain with a few holes. Yesterday I sewed it into a little tote, just the right size for taking a novel or two to the coffee shop. The fabric is pretty heavy, so I didn't line it; just used French seams to hide the raw edges, which works beautifully. And I like to think it gives the bag a certain cosmopolitan air, because "French seams" sounds so fancy and sophisticated. 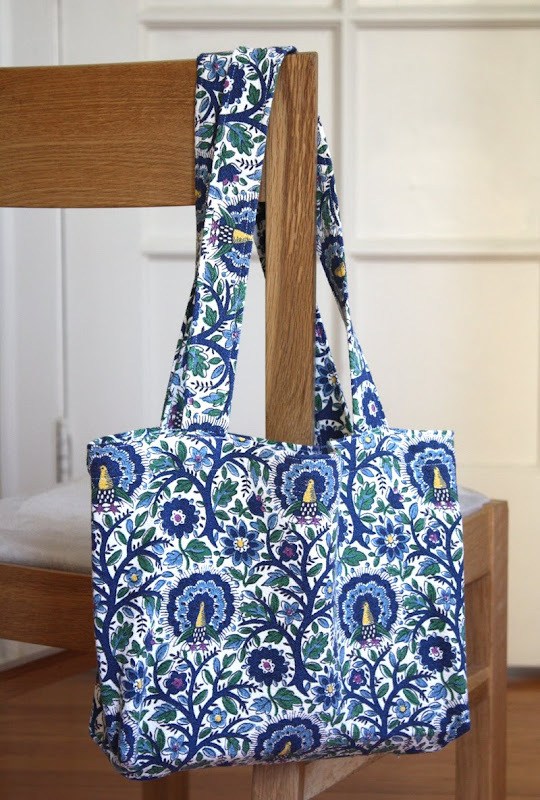 For an excellent tutorial on making a simple, unlined tote bag, click here. I sure wish I could see the original room that had blue peacock drapes. Update: Just in from the woman who sold me the curtain: It originally belonged to her mother-in-law, a decorating genius named Ozie Lee. These panels hung in a living room with a plum couch, light blue walls and a bright green rug. Sounds rather wonderful to me. You have read this article bag / sewing with the title February 2010. You can bookmark this page URL http://jenkrebs.blogspot.com/2010/02/curtain-turned-tote-bag.html. Thanks! You have read this article desktops / downloads with the title February 2010. You can bookmark this page URL http://jenkrebs.blogspot.com/2010/02/simple-computer-desktops.html. Thanks! The Graphics Fairy posts a free piece of vintage clip art every day, perhaps useful for your next craft project. There are more than 1,000 graphics to choose from, plus tutorials showing different methods for transferring images—a lovely example is this drawer knob project. You have read this article resources with the title February 2010. You can bookmark this page URL http://jenkrebs.blogspot.com/2010/02/vintage-clip-art-source.html. Thanks! My name is Jessica and I'm an Olympics addict. I have zero interest in sports outside of two weeks every two years. Then if I could have my way, I'd never leave my house at night so I could stay permanently glued to my TV set. I love watching people who work really, really hard experience the sheer joy of victory. I also like watching people fall down and get back up again. Human beings are amazing and bewildering creatures. Wow, I'm chatty this morning. What I set out to mention was Vancouver's completely adorable Olympics mascots, created by the design studio Meomi. The Olympics have had mascots since 1968, and these characters must be among the cutest. 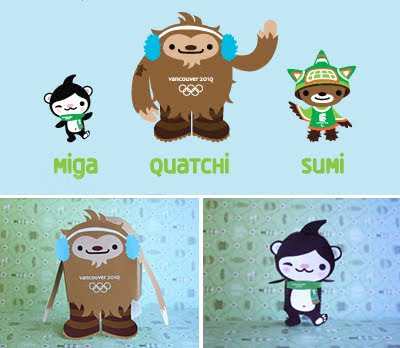 According to the Vancouver Olympic committee, Miga is a snowboarding Orca whale-turned-bear, Quatchi is a shy and gentle sasquatch, and Sumi is an animal spirit who wears an orca whale hat, has the wings of a thunderbird, and the legs of a black bear. So round up the kiddies and send them to the official mascot site, where they can watch videos, play games, download desktop wallpaper, print coloring pages, and make paper models of these guys. Awww. You have read this article desktops / downloads / games / time-wasters with the title February 2010. You can bookmark this page URL http://jenkrebs.blogspot.com/2010/02/vancouver-olympics-mascots.html. Thanks! Update: Looking for 2012 Oscar bingo? Get it right here. You have read this article entertaining with the title February 2010. You can bookmark this page URL http://jenkrebs.blogspot.com/2010/02/2010-oscar-party-bingo.html. Thanks! Find an enormous stash of free desktop wallpapers and background patterns, all designed by Sarah at Totally Severe. According to Sarah's bio, she was raised and educated by pirates. That explains a lot of the wackiness in her artwork, I imagine. Pirates are always so silly. And a tip about background patterns for the non-computer savvy: when you download a file and want to make the pattern cover your desktop or Twitter page, there should be an option called "Tile" in your settings. Select it, and the pattern will repeat across your screen. You have read this article desktops / downloads with the title February 2010. You can bookmark this page URL http://jenkrebs.blogspot.com/2010/02/computer-desktops-and-backgrounds.html. Thanks! To follow up yesterday's cake-themed printable, how about some instructions for making cake slices from paper? These would be cute favors filled with candy or grouped on a cake stand. Get the instructions here at the Paper Source blog. You have read this article paper / tutorials with the title February 2010. 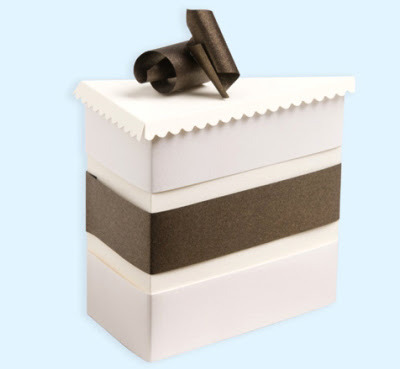 You can bookmark this page URL http://jenkrebs.blogspot.com/2010/02/how-to-make-paper-cake-slices.html. Thanks! This super cute dessert-laden postcard is free to download and print from Inspired Bride. It comes in pink and brown, too. You have read this article downloads / invitations / printable with the title February 2010. You can bookmark this page URL http://jenkrebs.blogspot.com/2010/02/save-date-printable-postcard.html. Thanks! Quiz: Which color matches your personality? If you're dying to know, take this quiz at True Value Paint. Wanna know what color I was? Black. What!?! "Nothing can stand between you and your demand for a calm environment. To be free of conflict and disagreement is the only way to live...your ability to focus is undisputed, and while you enjoy attention, you still have problems understanding how to handle it. No other color lives by the golden rule as much as you do." Actually not an inaccurate description, but black? You have read this article quizzes / time-wasters with the title February 2010. 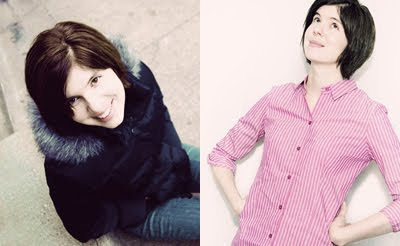 You can bookmark this page URL http://jenkrebs.blogspot.com/2010/02/quiz-which-color-matches-your.html. Thanks! You have read this article decorating with the title February 2010. 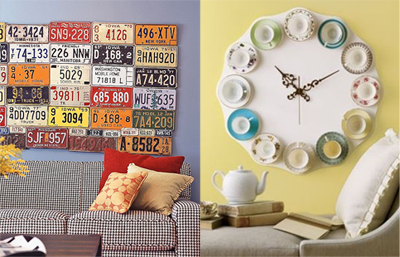 You can bookmark this page URL http://jenkrebs.blogspot.com/2010/02/big-list-of-diy-wall-art-ideas.html. Thanks! You have read this article downloads / resources with the title February 2010. You can bookmark this page URL http://jenkrebs.blogspot.com/2010/02/100-free-backgrounds-for-twitter-or.html. Thanks! You have read this article downloads / paper / printable / valentine's day with the title February 2010. You can bookmark this page URL http://jenkrebs.blogspot.com/2010/02/diy-valentine-paper-freebies.html. Thanks! Do you like flying elephants? Of course you do. You can download and assemble your own fantastical pachyderm, or watch him come to life in a little stop-motion video right here. He's a sample of the work produced by the Curiosity Group, a Portland-based marketing agency. You have read this article downloads / paper / printable with the title February 2010. 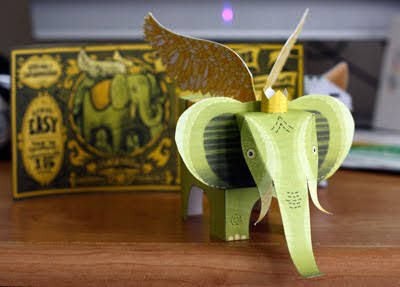 You can bookmark this page URL http://jenkrebs.blogspot.com/2010/02/winged-elephant-papercraft.html. Thanks! Oh, excuse me, I mean what name would you have if you were a product made by a famous Swedish furniture company whose corporate colors are yellow and blue? Find out here, if you'd like five seconds of Friday silliness. You have read this article time-wasters with the title February 2010. You can bookmark this page URL http://jenkrebs.blogspot.com/2010/02/what-your-ikea-name.html. Thanks! The talented Alma Loveland has created some Valentine's Day freebies, including these sweet tiled patterns you can use as Twitter backgrounds. Now, I hear there are people out there who loathe Valentine's Day and the merest glimpse of a heart will make them nauseated. If that's you, I apologize for the ongoing seasonal posts, but dang it, Valentine stuff is so pretty. Perhaps you might help yourself to Alma's speech bubble pattern instead, and hunker down until Feb. 14 has passed. You have read this article downloads / valentine's day with the title February 2010. You can bookmark this page URL http://jenkrebs.blogspot.com/2010/02/pretty-twitter-backgrounds.html. Thanks! "I'm a teensy bit concerned about that ceiling leak." Last week I had the pleasure of a photo session with Anna Inabinet of City View Photography. Anna is completely delightful. We tromped around the aging St. Lukes Church in Logan Square and explored the back rooms and stairwells. You can check out her beautiful work on her website here or the latest photos on her blog right here (where I am talking on my imaginary phone and admiring my favorite shoes). Thank you, Anna! You have read this article with the title February 2010. You can bookmark this page URL http://jenkrebs.blogspot.com/2010/02/photo-fun.html. Thanks! Modern Fabrics is an online store selling designer fabrics rescued from the cutting room floors of high-end furniture factories. They scoop up gorgeous textiles from the likes of Knoll, Maharam, Architex and more—usually sold only to the trade—and then make them available to everyone at 50-75% off the list price. Some are still a hefty price tag for us commoners, but definitely better. And it's great to think that these could go live at your house instead of a landfill. You have read this article fabric / shop with the title February 2010. 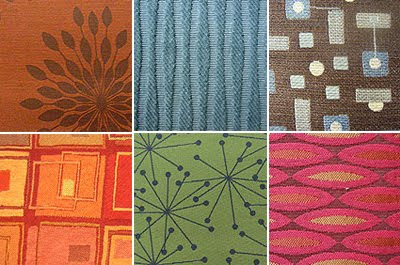 You can bookmark this page URL http://jenkrebs.blogspot.com/2010/02/modern-fabrics-reclaimed-textiles.html. Thanks! 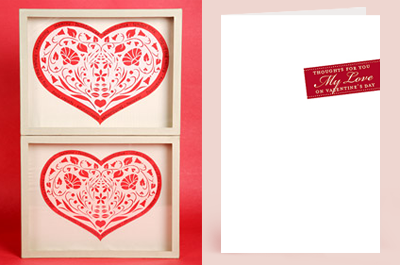 Free for the downloading: a printable Valentine card and matching envelope available at Ruffled. You have read this article cards / downloads / printable / valentine's day with the title February 2010. 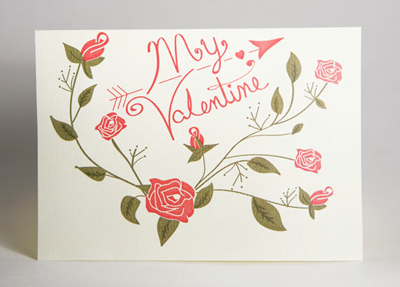 You can bookmark this page URL http://jenkrebs.blogspot.com/2010/02/print-it-vintage-style-valentine-card.html. Thanks!